Renowned bluegrass duo The Gibson Brothers sign to Rounder Records and the 11-Time IBMA Winners are set for the January release for their new album. 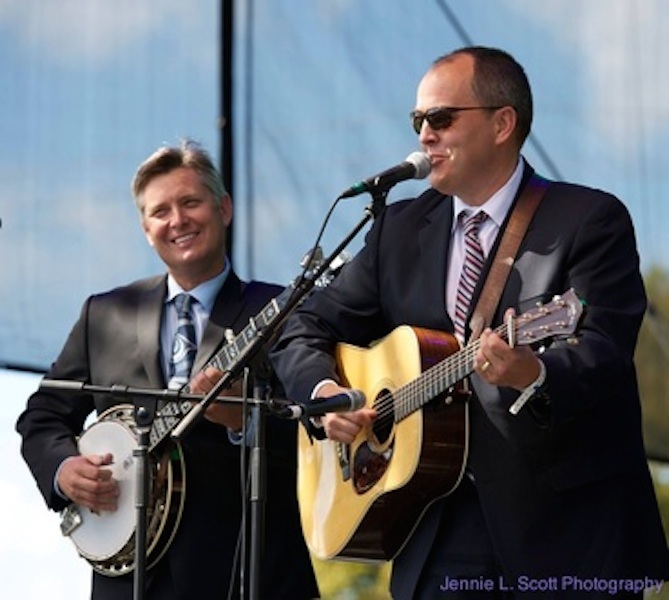 The Gibson Brothers are one of the most acclaimed bluegrass bands on the scene and we have recently learned that they have signed a deal with Rounder Records. It was announced this week by label co-founders Ken Irwin and Marian Levy. In the twenty years since they recorded their debut album, Underneath a Harvest Moon, brothers Eric and Leigh Gibson have become one of the most popular and critically lauded groups in contemporary bluegrass. The duo has earned praise for their “exquisitely crafted, evocatively original songs” (PopMatters) and the “the thrilling tang of their throwback brotherly harmonies.” (Nashville Scene). …when I hear someone like The Gibson Brothers, I know it’s them from the first note. They have that little thing in their voices that no one else has – Del McCoury. In 2013, the International Bluegrass Music Association voted them Entertainers of the Year and Vocal Group of the Year, and they also took home awards for Song of the Year (for “They Called It Music”) and Songwriter of the Year (Eric Gibson). They are presently putting the finishing touches on their Rounder debut, which is slated for release in January of 2015. We have known and been fans of the Gibson Brothers for years, and we are thrilled to finally be able to work with them. “The brother duet has a long history in bluegrass and country music, and the Gibsons have represented that tradition with class and style for over twenty years. We all feel that this wonderful album will carry on that great tradition of old-time brother duets, from the Monroe Brothers and Blue Sky Boys in the ‘30s, and into bluegrass with the Bailey Brothers, Lilly Brothers and Stanley Brothers in the ‘40s, and Jim and Jesse in the ‘50s – Rounder’s Ken Irwin. As kids on the farm, we spent many hours listening to records, many of them on Rounder, a name synonymous with quality. We remember absorbing Tony Rice’s Cold on the Shoulder, the first J. D. Crowe & the New South album, and offerings from the Bluegrass Album Band, looking at that identifiable logo and wishing that one day we would be affiliated with Rounder, a beacon in the roots music world. That day has come. We are so excited to have signed with Rounder and cannot wait for people to hear our first Rounder project, a tribute to the great brother acts in bluegrass and country music history – Eric Gibson.